To this day, whenever someone asks me what part of Europe is my favorite, I would have to say it would be Scandinavia, by which is composed of five countries, namely: Denmark, Norway, Sweden, Iceland, and Finland. By mid-2016, I was fortunate enough to have visited four out of the five Scandinavian countries with only Finland left to check-off the list. 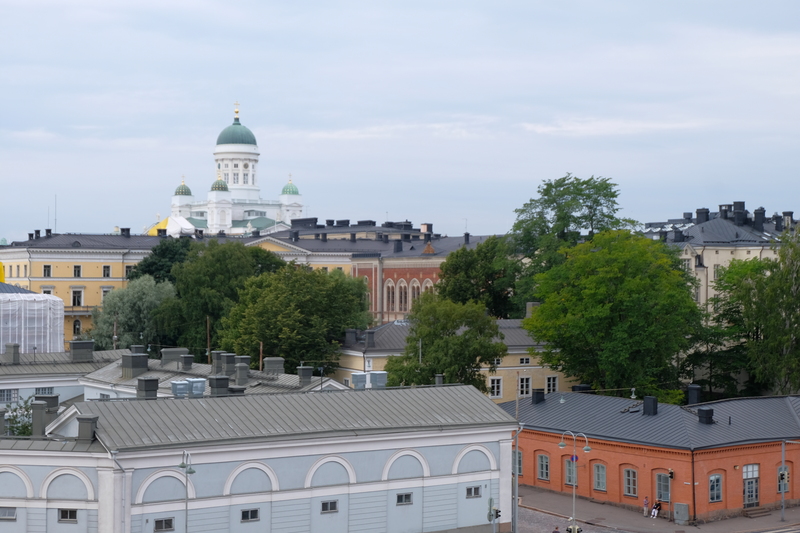 Luckily, during our Royal Caribbean Baltics & Russia Cruise last year, Helsinki part of the route. 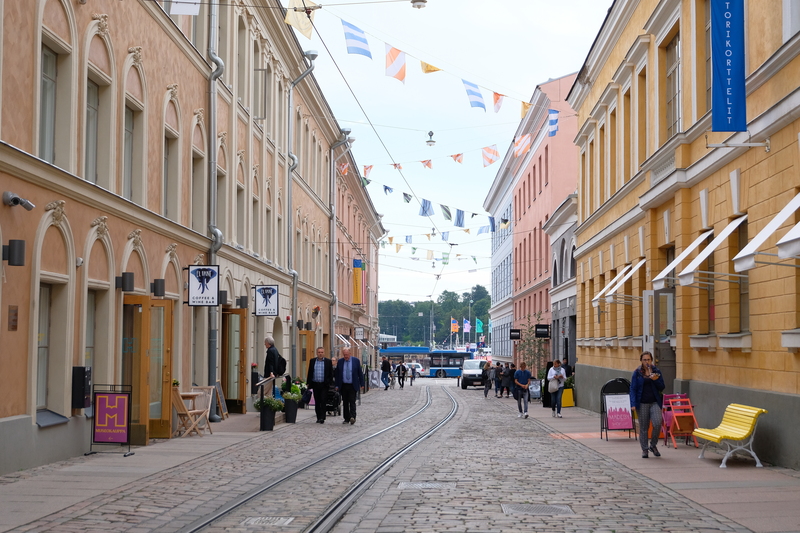 Unlike the other Scandinavian countries by which we visited days at a time, and some we were even fortunate to have visited more than once, our time in Finland during this trip was limited. 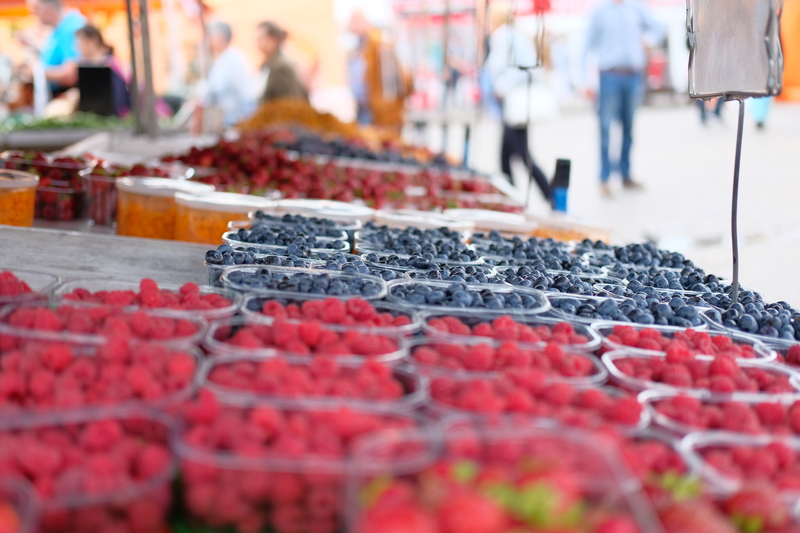 Upon researching, however, we found out that while there is tons to do while in the Finnish capital, visitors can easily make the most out of a day trip as long everything is perfectly mapped-out. For this day trip, GoogleMaps very much came in handy. 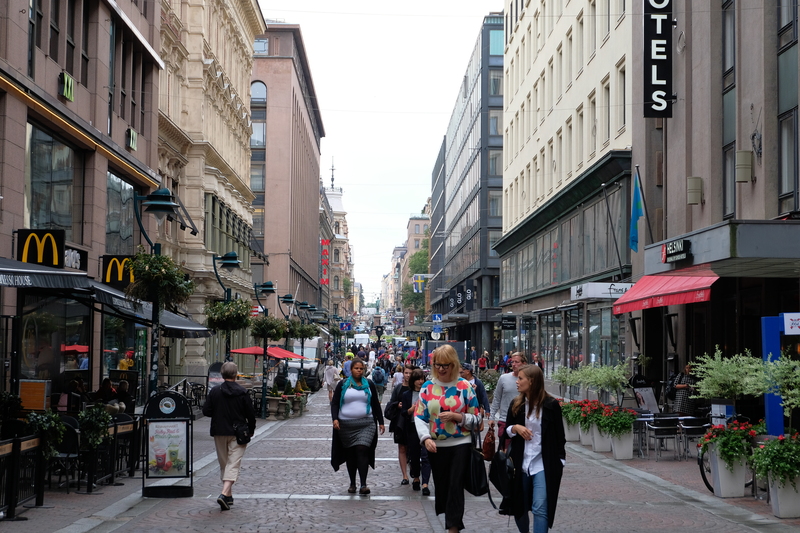 Though we had the option to pay for an excursion serviced through Royal Caribbean that would easily take us from point A to point B with a tourist guide to lead us, we found out that Helsinki is a walkable city and it would be easy to navigate through the city center as long as you had a map in hand. So of course, to save on costs and enjoy the city at our own pace, we simply booked the shuttle that would take guests from the cruise port to the city center. The city center is pretty close to the cruise port, as the shuttle (US$10 per person for the return trip c/o Royal Caribbean) takes only 10 minutes and drops you off in the middle of the commercial district of the city, wherein all the city’s attractions are within walking distance. Should you choose to walk from the cruise port, it’ll take you at least half an hour, which I don’t recommend, as you’ll be walking through an industrial part of the city; in addition to this, it would be better to spend the time you’d be walking to and from the cruise port exploring what Helsinki has to offer. 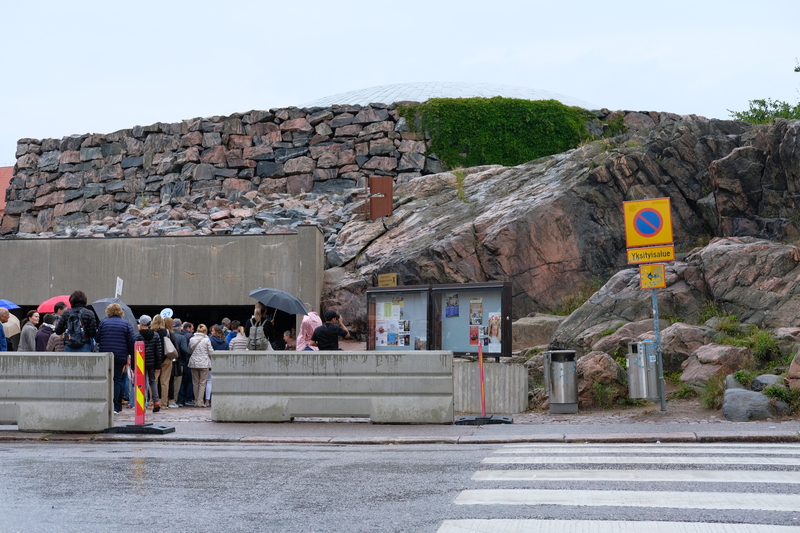 Generally speaking, it doesn’t rain that often in Helsinki, but unfortunately for us, it started drizzling while we were walking from the drop-off point of Royal Caribbean’s shuttle to the first stop of our self-planned day tour. As if we didn’t already learn from the time we were in Bergen and it started raining profusely, wherein we ended up having to purchase two expensive umbrellas, which by the way, we had to leave in the Copenhagen Airport as it didn’t fit in our luggage. This time, we hadn’t learned our lesson and still didn’t bring a small umbrella, so we once again ended up having to purchase a tiny umbrella for a whopping US$18. Yes, what a great way to be welcomed back to Scandinavia – what better way than to reorient ourselves with the region’s exorbitant costs! So here’s a tip, do bring a small umbrella as a back-up, even if the weather forecast tells you it won’t rain, unless you’re willing to splurge US$18 for one. Note that the short itinerary listed herein is the order by which we visited each attraction, as some points below will note the proximity of some attractions to what was listed previous to it. 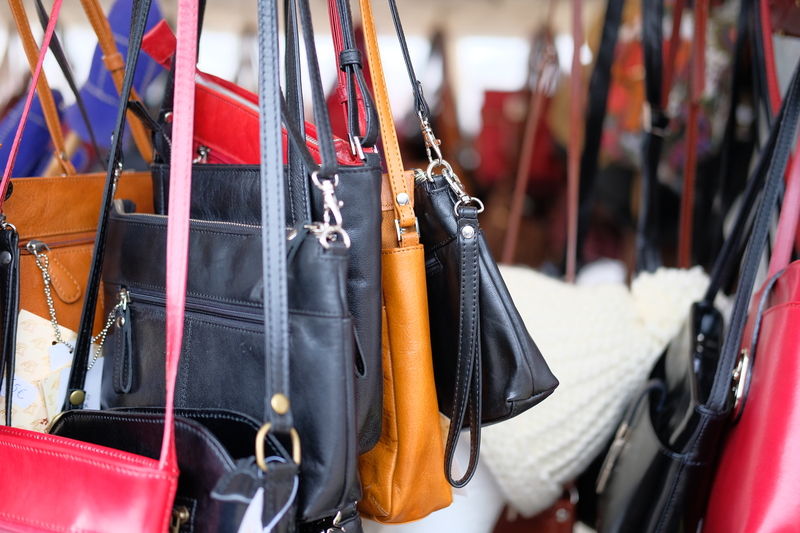 Our first stop of the day is one of the most popular attractions in the city, if not the most, as we arrived together with busloads of tourists from the ship we were on, as well as the other cruise ships that were docked in the city that day. We knew our self-planned tour was on the right track, as we began the tour where the others who actually paid for a guided tour also started theirs. 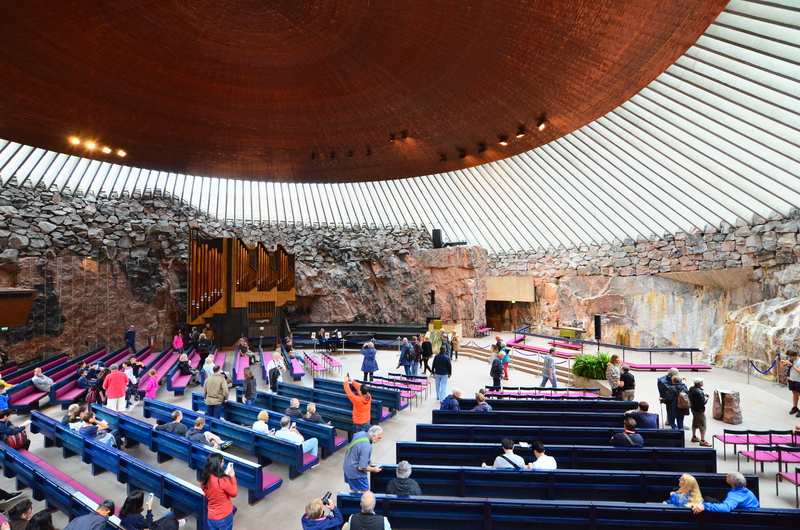 The Temppeliaukio Church is popular for good reason: the architecture is incredible, and the fact that it was built on and from natural bedrock is amazing, and this was where it derived its other names: Rock Church or Church of the Rock. 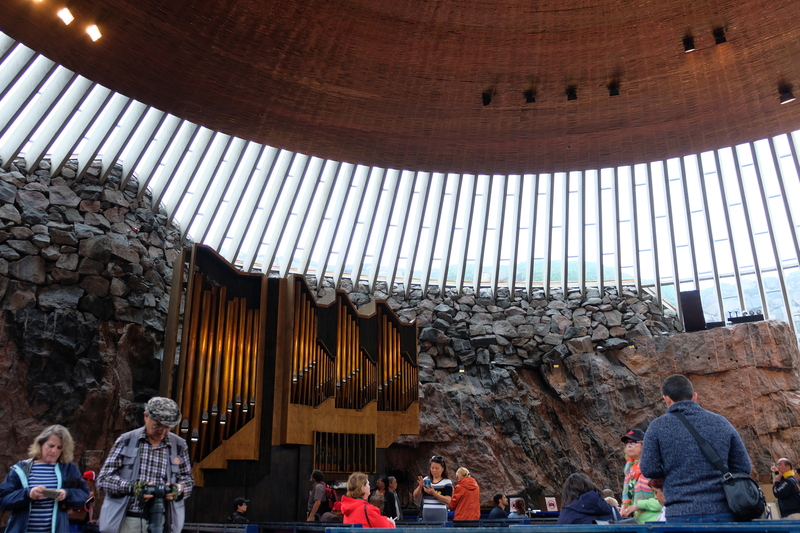 This Lutheran church is widely known for its fantastic acoustics and beautiful natural lighting as it pierces through the structure’s glass windows, making the experience even more magical than it already is. 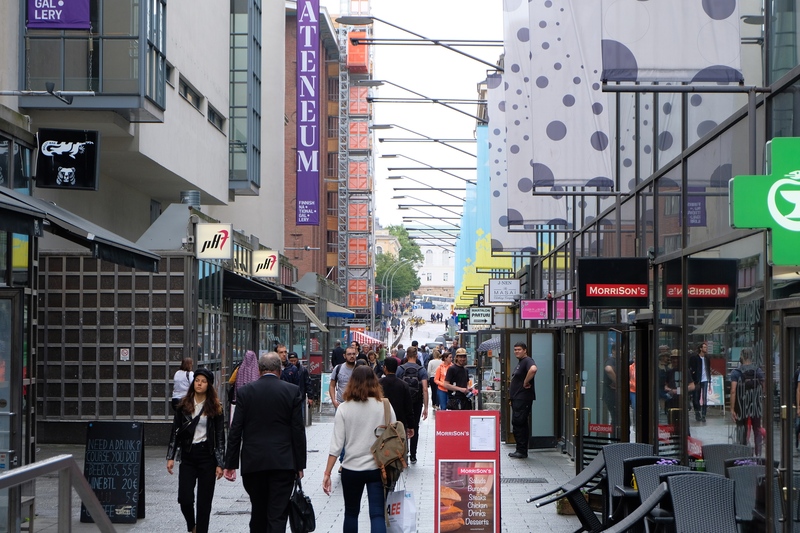 From Temppeliaukio Church to Helsinki, it’s a 1.7km walk, but entertaining nonetheless, as you walk past what makes up the commercial district of the city with several restaurants, cafes, and retails stores to take a coffee or shopping break in. 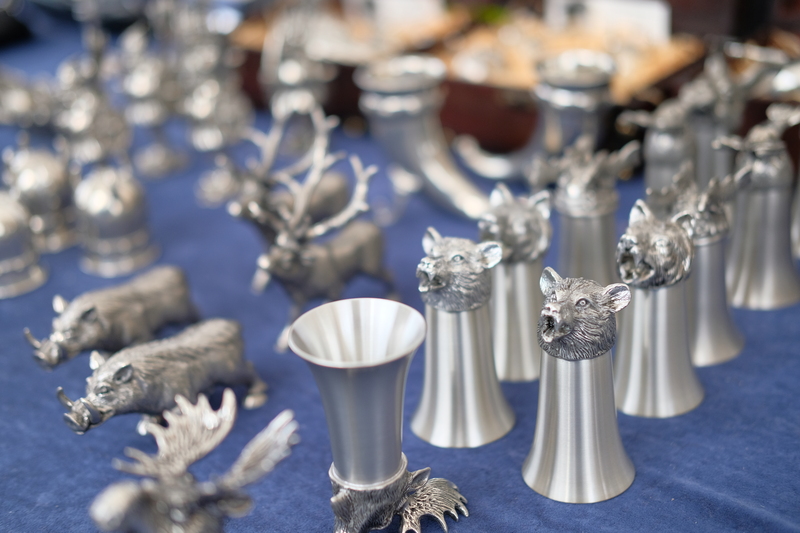 With a wide array of options to choose from, just be wary of spending all your money in stores you could find anywhere else in the world, but focus instead on local finds; you can find more local treasures in the Market Square, which I’ll talk about later on. 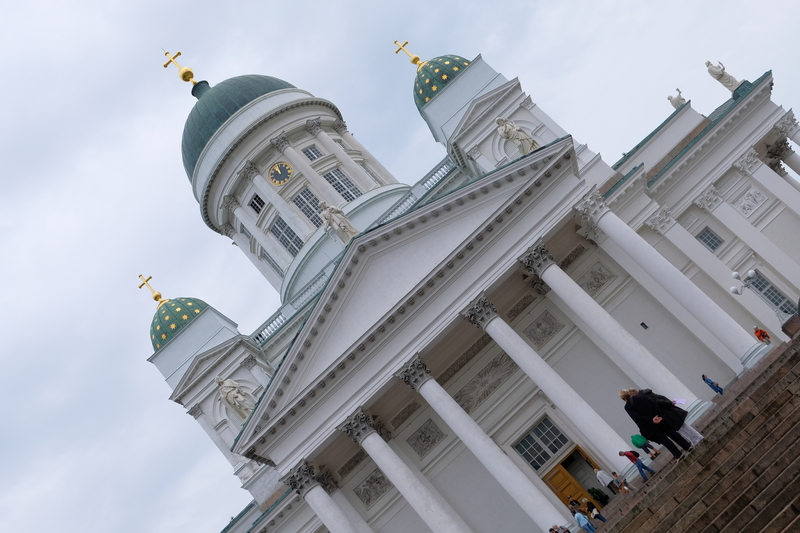 As we finally made it the the Helsinki Cathedral, the very icon of the city, as the capital is identified through this century-old church, dating back the its completion in 1852. 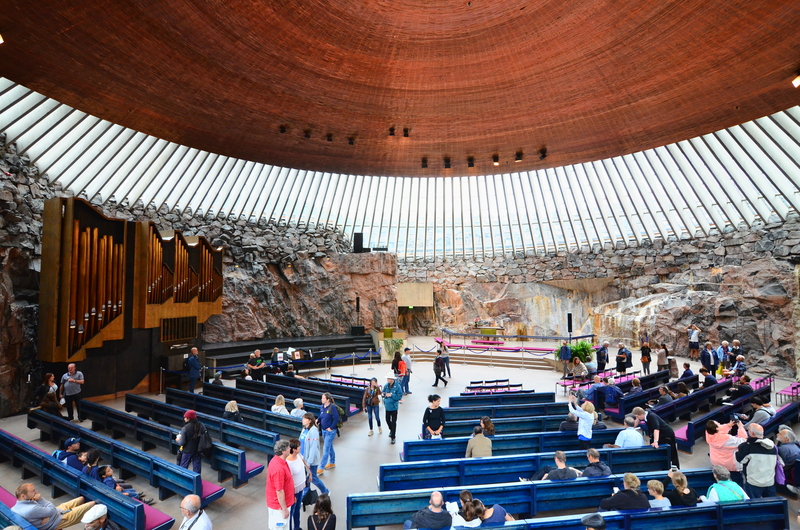 Also a Lutheran Church, this massive structure is a wonder to look at. 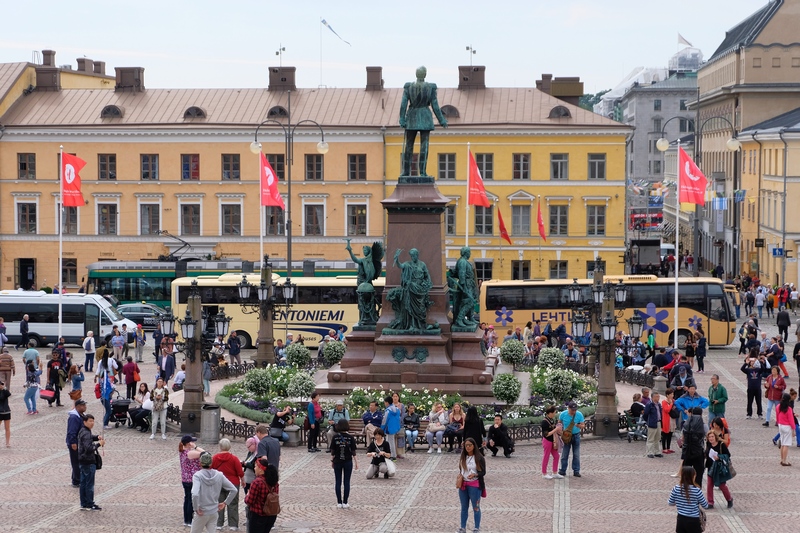 Its picturesque location as it sits above Senate Square overlooking part of the city makes it a distinctive attraction in Helsinki’s cityscape. 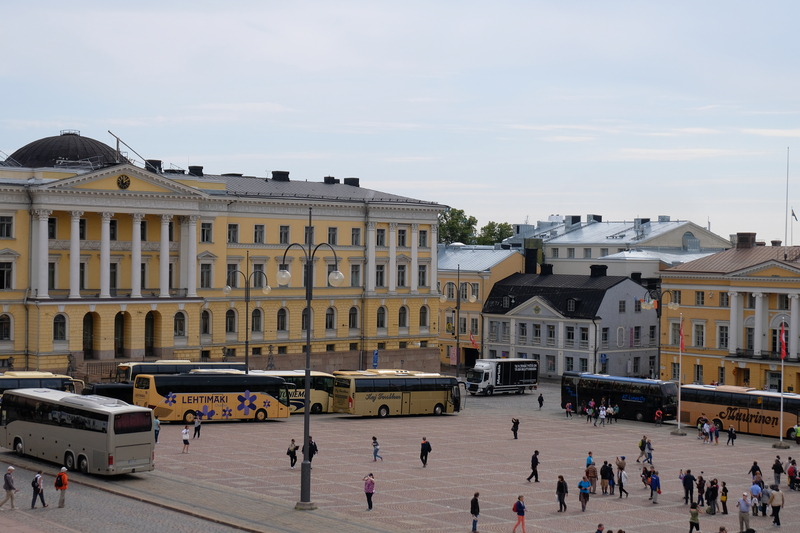 Right in front of the Helsinki Cathedral is yet another main attraction in the city: the Senate Square. 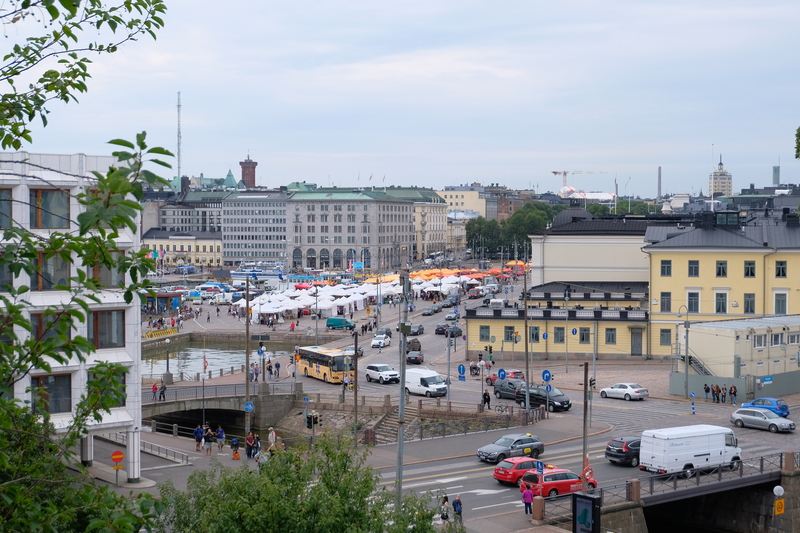 A venue for city events and gatherings, this open space is surrounded by Helsinki’s landmarks, such as the Helsinki Cathedral, the University of Helsinki’s Main Building, the Government Palace, and the oldest building in all of Helsinki from the mid-1700s: the Sederholm House. 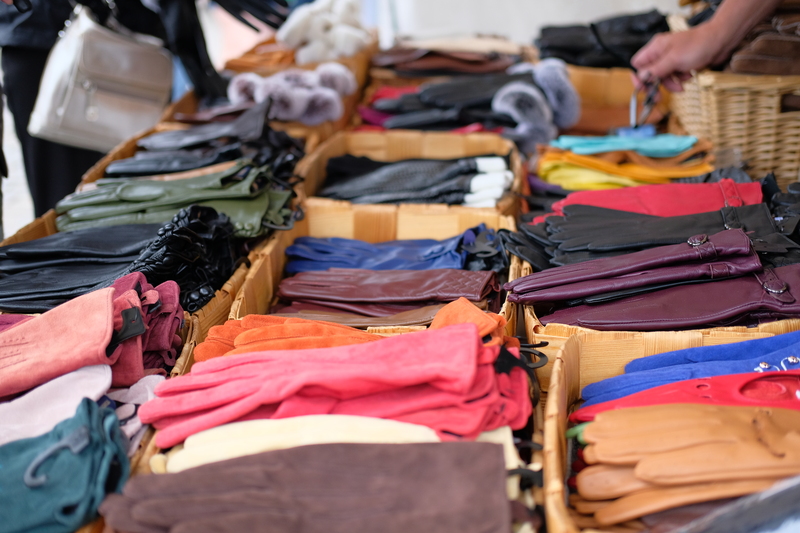 Less than a half-kilometer walk from Senate Square is the Market Square, where as mentioned earlier in this post, is a great place to score local finds, as well as local delicacies. 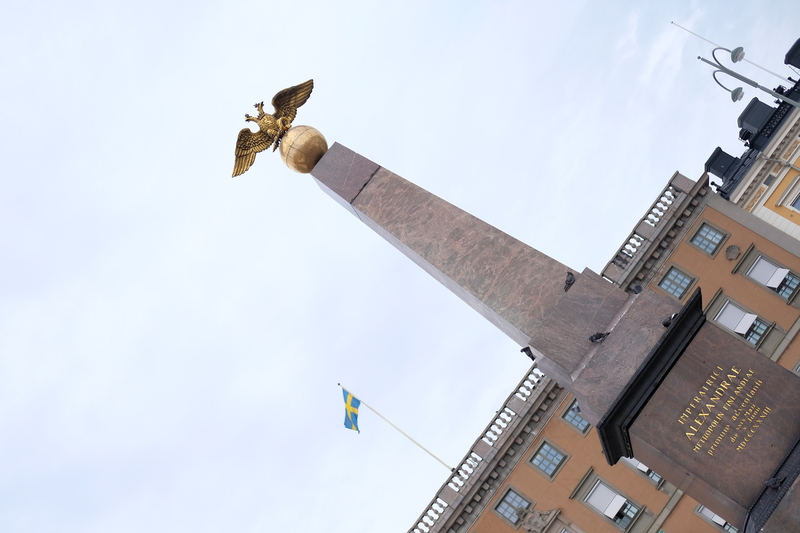 Pictured below, are just some of the stalls from the Market Square, together with one of the historical monuments in the city also located in Market Square: the Obelisk that dates back to 1835. 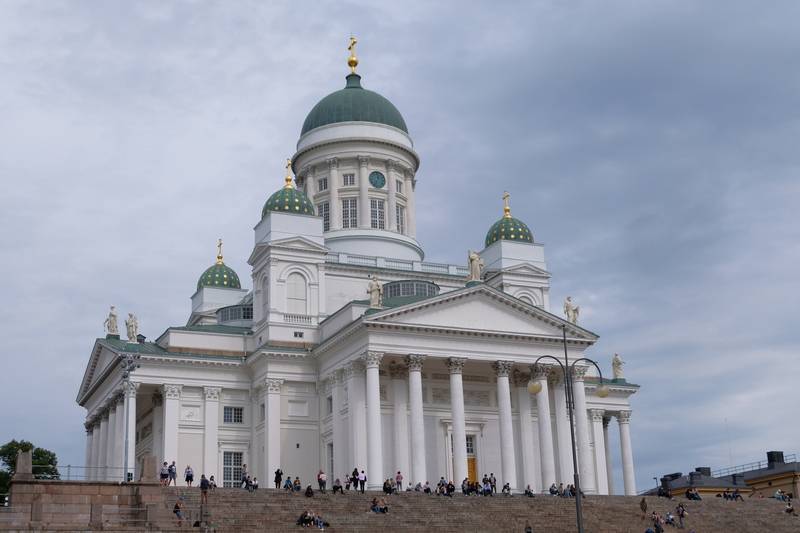 The great thing about the Finnish capital is that once you reach the Helsinki Cathedral, the rest of the city’s main attractions are within close proximity to each other, and here’s another example. 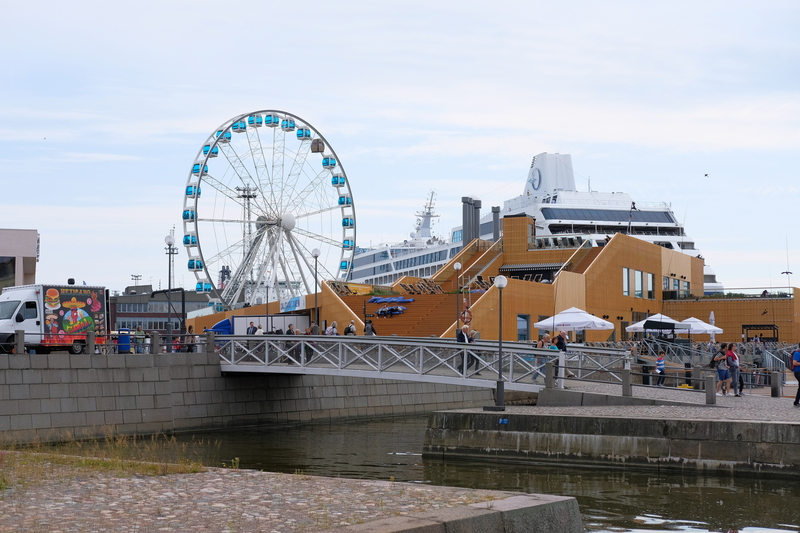 Located right beside Market Square is another place in the city that is worth visiting: the Katajanokka Habour that has a restaurant to offer tourists, overlooking the ships & ferries docked, a ferris wheel, an elevated seating area, and even a spa that features a terrace, saunas, and pools. 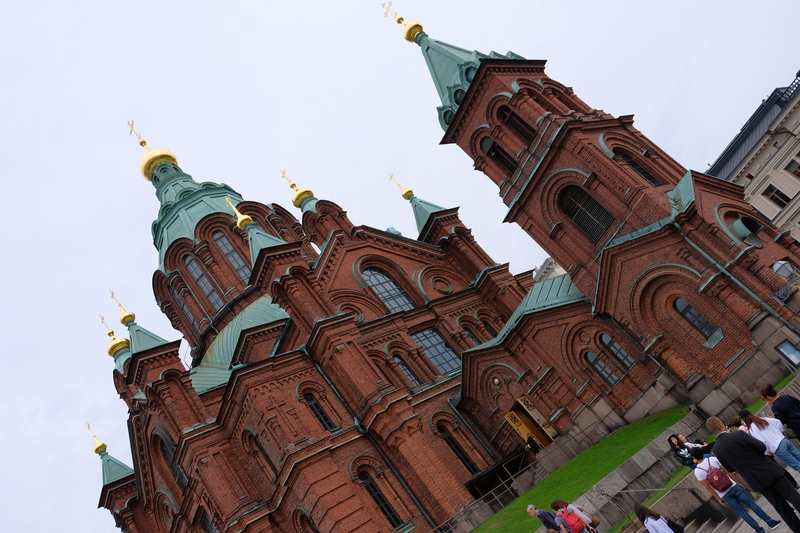 Yet another close-by attraction, half a kilometer from Katajanokka Harbour and Market Square to be specific, that I highly enjoyed was the Uspenski Cathedral, this gorgeous structure of Eastern Orthodox descent. As it sits on a hill, my favorite part of visiting this attraction are the incredible views you’ll get from the foyer fronting the Cathedral. Capping off our trip, we spent the next hour or two in an attraction located just 850 meters from Uspenski Cathedral. 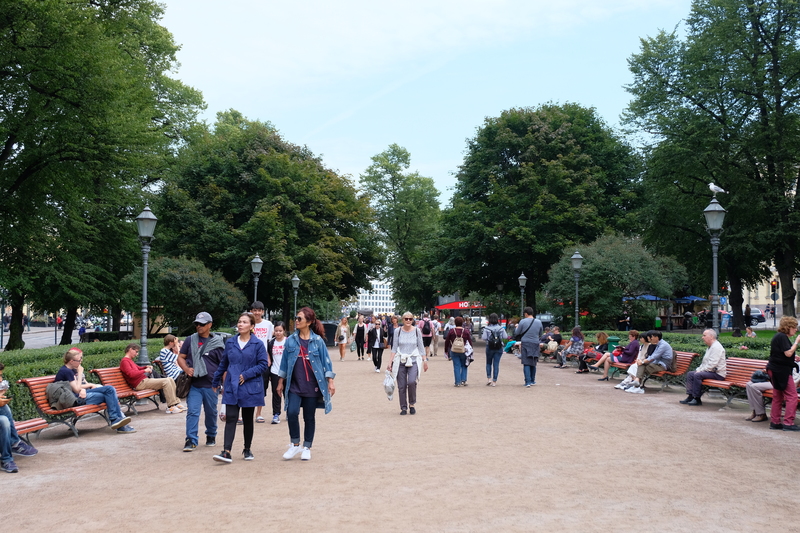 Esplanadi, also known as Espa, is located in the downtown area of Helsinki, where an urban park and an esplanade are situated. It sits right beside Market Square, and has perfectly-manicured greeneries all around. Esplanadi also houses lovely cafes and restaurants, and the park features musicians, performers, and the like, adding even more charm to this already-gorgeous setting. 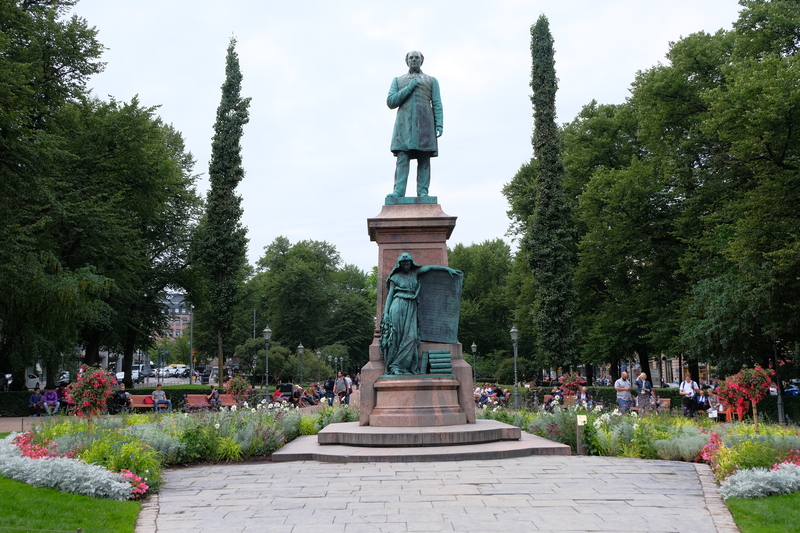 And sitting by the benches, enjoying our last few moments in yet another beautiful Scandinavia city truly was the a great way to end our short yet enjoyable trip. When people say that staying in a city too short a time isn’t really the way to see a certain place, I would have to counter this and say: it’s all a matter of perspective. 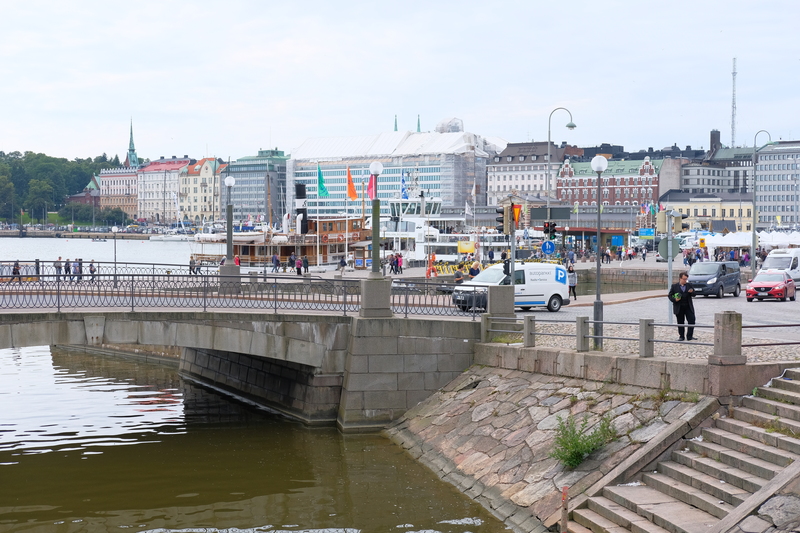 It’s about making the most out of the limited time you have and ensuring that you see what you want to see, like we did in just a day in Helsinki. 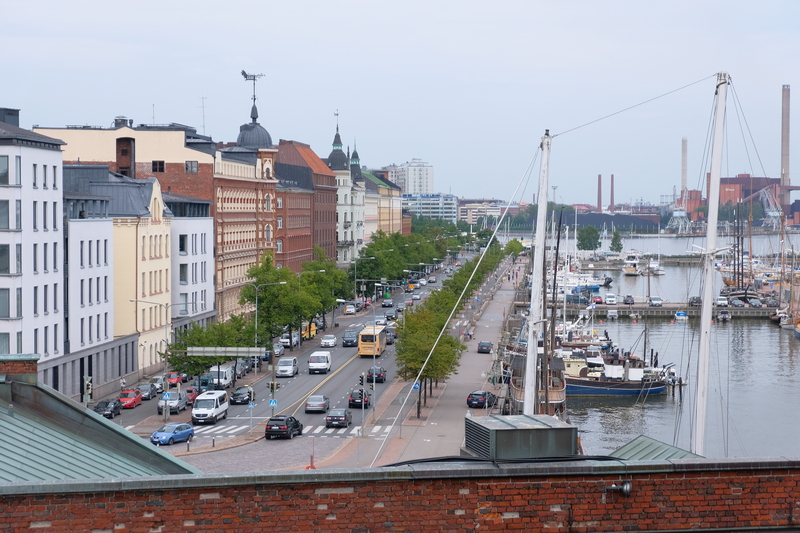 So if you’re visiting the Finnish capital for less than 24 hours and you’re worried about not seeing much of it – don’t fret! As evident in my 8-step post above, you can do a lot in the city without having to rush from one place to another.